Few things are more frustrating than trying to spot your car in a dark parking lot after a long day at the mall. Fortunately, Google is here to help. 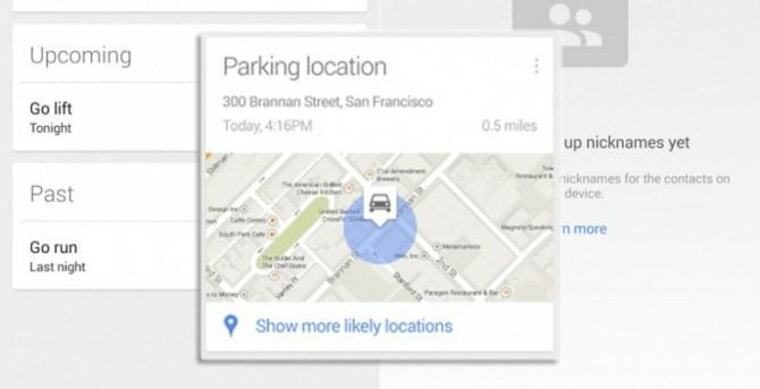 An update to the Google Search app for Android debuts a new Parking Location feature, so you won’t be going in blind every time you try to spot your wheels. Available now on the free Android version of Google Search, the Parking Location feature uses your GPS to guess when you’ve walked out of a vehicle. Once it’s time to get back to your car, the app’s Parking Location card will pinpoint your car on a map and provide walking location. There are a few other new driver-friendly additions to the app, including traffic incident reports that will help you gauge how smooth your morning commute should go. On top of these features, Google Search now has a more intuitive Reminders interface, and a beefed up nickname feature that lets you add more labels like “dad” and “wife” to your favorite contacts. The Google Search 3.4 update is rolling out now for Android users, though there’s no word about an updated iOS version with the aforementioned features.